Retreats have gained popularity the last decade as the answer for self transformation and inspiration…but are they just fancy vacations or is there something there? Believe me, I can relate. I went to my first retreat at age 33. I had a baby and toddler and I was knee deep in a disconnect from myself. I knew something had to give as I found myself waking every morning with this feeling of homesickness. I felt the “homesickness” deepen each day until one day I came across an invitation to a “Master Healer Retreat” for healers like myself to gather, rest and heal together. I felt an inner knowing that this was something I needed to do, so I came to my husband and asked him if he thought it would be ridiculous if I escaped for a weekend to spend some time at the retreat. He was very supportive and encouraging, so I went. What I found was a whole new level of self-care; beyond mani-pedis and back rubs, this was nourishing food, soul work and the physical rest that my body was so needing. Unlike the usual destination vacation where I was frantically trying to see every landmark possible, or a boozy couple days on the beach; this was me, with myself, listening to myself, investing in myself. I had never done this before and frankly, I felt a bit selfish doing it. When I returned from the retreat I had a new understanding of what I needed to heal, what needed to change, and had met a great group of people that I have stayed in contact with for years. I know many of you have questions and are curious about my retreats so I thought I would break it down as to “why” a retreat is so necessary! This seems like an obvious reason, but there is something about breaking our mundane daily patterns that causes us to really find new answers and insights to those problems that have been rattling around in our heads for months. A retreat is a great place to learn. Wether its yoga, cooking, or stand up board paddling a retreat is an opportunity to clear your slate of responsibilities and explore something for you. Odds are by saying “yes” to a retreat, you are also going to meet a whole group of people that are also saying “yes” to that same retreat. Seems obvious, but what does that mean? Like online dating, you have just set your setting to find your niche’ market of friends! You will more than likely find someone as a vibrational match on this retreat, as you already have oh-so-much in common, hello new BFFs! New habits take time, but first you have to break a negative habit before you can replace it with a positive new one. By getting out of your routine, you are creating space to change your routine. After a weekend of practicing your new habit ditching caffeine, daily exercise or meditation, you are setting the stage for nothing but success when you return to your normal everyday life. 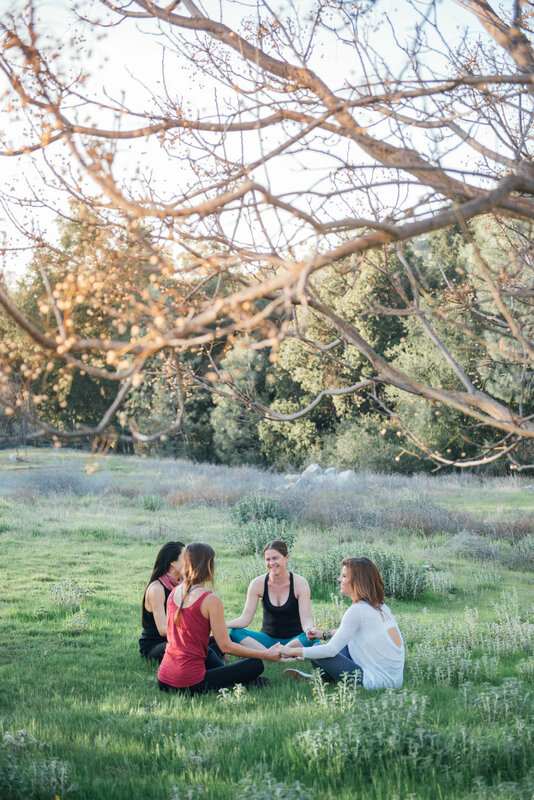 A 3-day retreat with The Well Woman Project means unplugging from your phone, wifi and computers while tuning in with your higher self. This is often hard to do, but once you see the clarity, peace, and joy that comes from being in the moment, it’s so worth it. Technology is a necessary part of our daily lives, but taking an occasional break is a necessary piece for our ability to grow. I hope these reasons give you insight on why you would want to consider a retreat. These retreats have allowed me to grow in a way much different than a 5-day Mexican Cruise ever could. 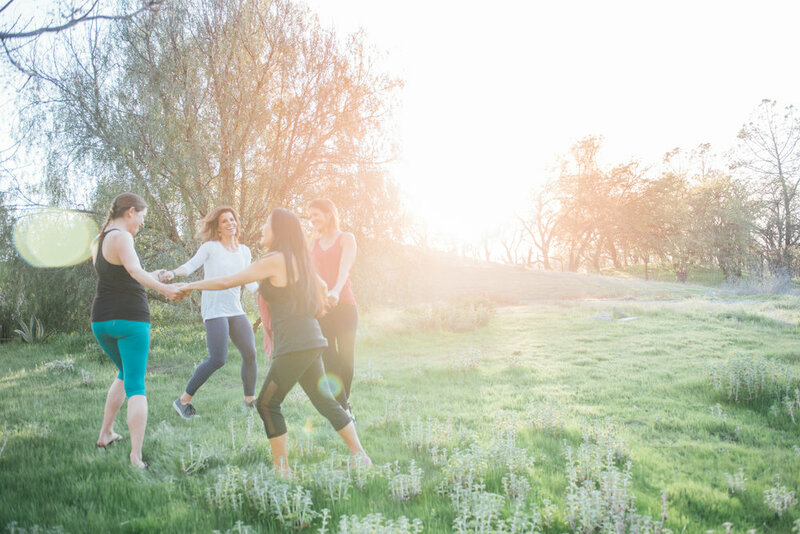 The personal shifts I’ve made at retreats have been so profound, I’ve made it my personal mission to share the gift of retreats with others and hope you will consider one of the Well Woman Project offerings.